Many organizations have huge investments tied into conventional training content. The challenge is: What’s the best way to re-use and repurpose these existing assets into highly engaging eLearning courses. Whether you are porting existing training material into the eLearning realm, or whether you want to develop eLearning courses from scratch; here are 10 eLearning authoring tools (in no particular order) that can help you do both. 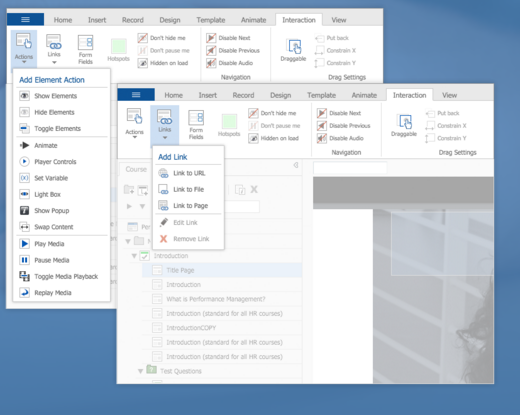 The dominKnow Platform is an all-in-one authoring and publishing tool. There will be three options available for authoring: Claro (a traditional desktop eLearning authoring tool), Flow (a truly responsive authoring tool), and Capture (a soon-to-be-released software simulation tool). Users who are familiar with Microsoft Office Suite will find these tools extremely easy to use as the layout and options are very similar. Templates allow for rapid eLearning authoring and the easy-to-use drag and drop functionality make it easy to create a course from scratch. Use its powerful features to import existing PPT files, create practice and scored assessment tests, customize interactivity by using built-in widgets, like markers etc., and personalize the look and feel of your courses! Teams can easily collaborate and share from within the tool keeping updates streamlined without needing to dig through emails, chat apps, etc. The dominKnow Platform is also rated as the #1 authoring tool by multiple sources. It’s also integrated into the eSSential LMS, which means LMS administrators can building courses without having to leave the learning management system. Likewise, when creating a course via dominKnow Platform’s native tool, courses can be instantly published to the LMS without having to separately save and upload. In the past, Articulate Storyline was the company’s main product offering, but has since developed a suite of apps called Articulate 360. In this suite, users and teams are given access to Storyline, Rise (responsive authoring), a Content Library, Review (collaboration), Preso (iPad-based video creation), Peek (screencast), Studio 360 (PowerPoint creation), and Replay 360 (webcam recording). These apps give you the tools to design training as well as collaborate with your team and/or stakeholders throughout the process. Adobe Captivate 9 is a product from the developers of the Acrobat range of tools, and provides LMS authors seamless movement from storyboarding their course concepts to designing and creating responsive eLearning content. You can import existing content, create content from a blank canvas, or add interactivity to content created using built in features. The system produces device-aware content. This means that once developed, content will automatically be rearranged to fit any device – desktop or mobile – and can be viewed by learners with ease. When integrated with Adobe Stock, authors have access to over 50,000+ eLearning assets, free of cost, to integrate into their content. Elucidat has been developed to be an easy to learn and simple to use eLearning authoring tool, which can be used by novice team leaders, trainers and course authors to build compelling enterprise-grade courses. 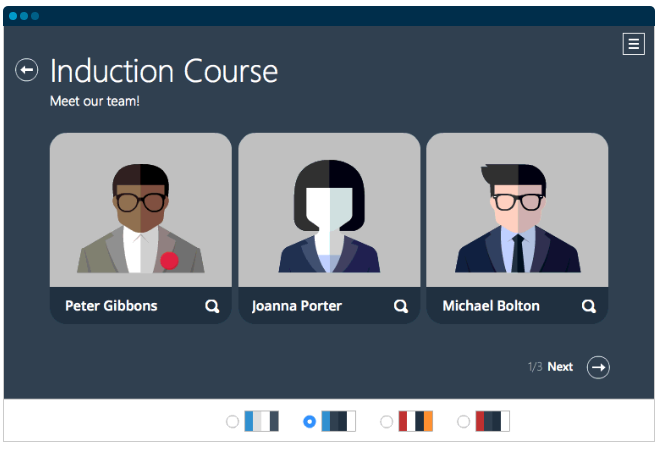 Course administrators and team leaders will particularly like its project management features. The system’s built-in communications and collaboration tools offer a quick and easy way for geographically dispersed teams of course developers to coordinate and cooperate seamlessly when creating simple or complex courses. With its brand-control capabilities, every author will be able to produce consistent-looking content that matches corporate branding. Its ability to support gamification features makes producing more engaging content simple and easy. Lectora 17 Inspire is a set of LMS authoring tools developed to produce highly responsive course content that can be viewed over multiple mobile and desktop devices. Its Branch Track feature offers a quick and convenient way to develop extremely engaging scenario-based course content. Course authors can use its Responsive Course Design (RCD) features to create courses in desktop view. Then, have Lectora automatically rescale, relocate and resize objects to match the devices they are being viewed on. 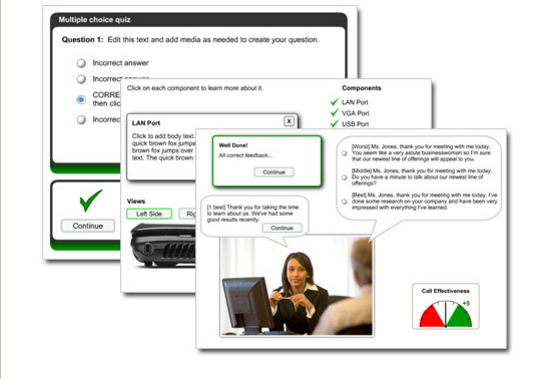 You can also leverage the tools built-in features to convert existing course content into RCD. Organizations looking to move from traditional learning content creation into eLearning authoring for the first time, may find Kitaboo Author a great way to break into eLearning content creation. 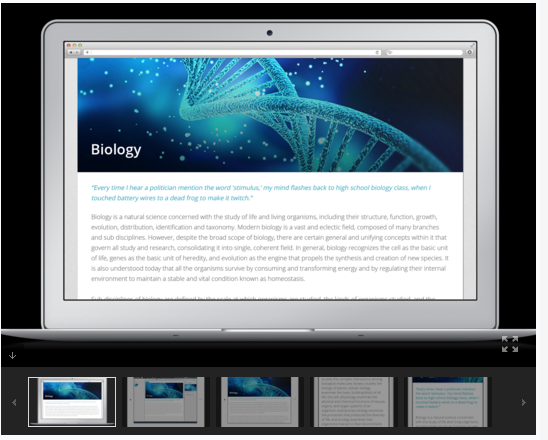 This light-weight LMS authoring solution is ideally suited to deliver compelling and interactive eBook-type learning experiences. The product is an HTML5-enabled, cloud-based eLearning content authoring solution, which provides authors a no-hassle way to focus on content development, rather than worrying about installation and upgrades. 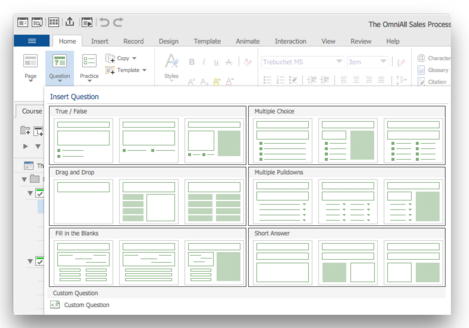 Use its drag-and-drop features to produce engaging content and assessments. Build-once, use multiple times is the focus of the tool. Its template-based approach to course creation offers authors a quick start to a wide range of courses. 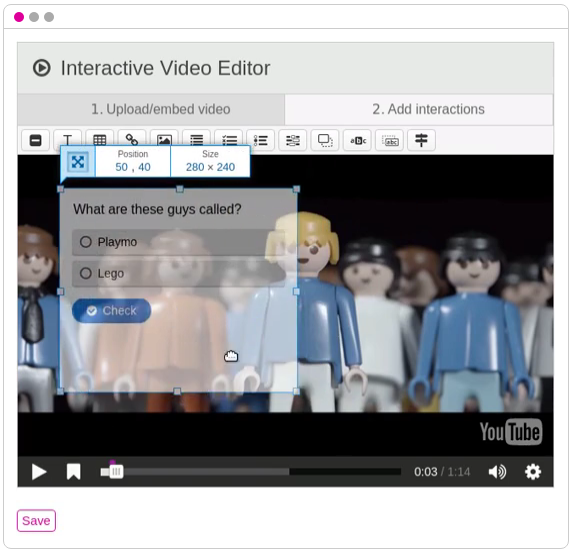 Raptivity is branded as an “interactivity creation tool”, but its features empower eLearning course authors to produce power-packed learning interactions with little effort. The tool is offered in two flavors, Essential and Suite. 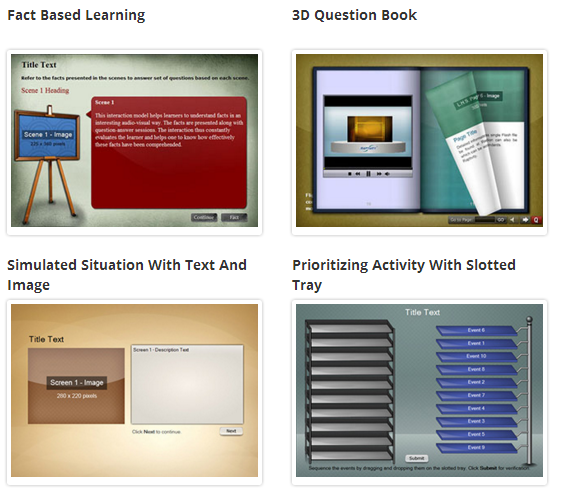 Depending on which tool you purchase, eLearning authors can integrate a range of “interactions” into courses, including Panning Cards, Timelines, Bullet Lists, Flash Cards, Graphic Choice Tests, Interactive videos, Scenarios…and more. 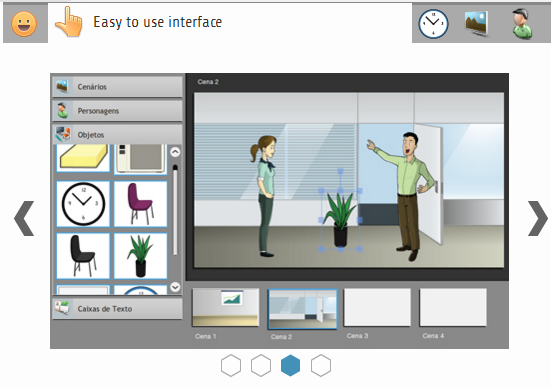 eLearning course authors can build interactivity with no programming knowledge, and Raptivity can easily be integrated into existing authoring tools like Storyline, Lectora and Captivate. Mobile-friendly, HTML5-based H5P allows course authors to produce rich, interactive content that can be modified and reused in any browser. The content can also be used in any existing HTML5-enabled publishing platforms. Course authors can integrate a wide variety of interactive content into their curriculum, including Games, Presentations, Interactive Videos and much more. The best part of H5P is that it is free to use, and therefore, may be a great start-up eLearning authoring tool for first-time eLearning content developers. Smartbuilder can be leveraged to deliver highly effective and engaging learning experiences to eLearners, without the need to tap into or hire highly technical programming expertise. Using a drag-and-drop development environment, eLearning course authors can integrate rich media content, introduce gaming elements into their courses, develop branching scenarios and create engaging learner assessments. Powerful content management, and flexible collaboration capabilities, make eLearning course development seamless. EAD Builder is a neat browser-based eLearning content authoring tool that doesn’t require extensive programming or bulky software downloads to set up and use. Developing courses is as simple as choosing a scenario from the EAD repository, and then dragging characters to pull together compelling stories in no time. HTML-5 enabled, EAD Builder supports most mobile devices, including iPads, Android phones and iPhones. There is no shortage of eLearning authoring tools to choose from, however, be sure to do your research. Some authoring tools claim to be responsive, but aren’t “true” responsive and will just shrink as opposed to automatically stacking elements. Pick the features most important to you and demo a handful of products that meet those needs. Which tool has been your favorite and why? Lots of good choices here!